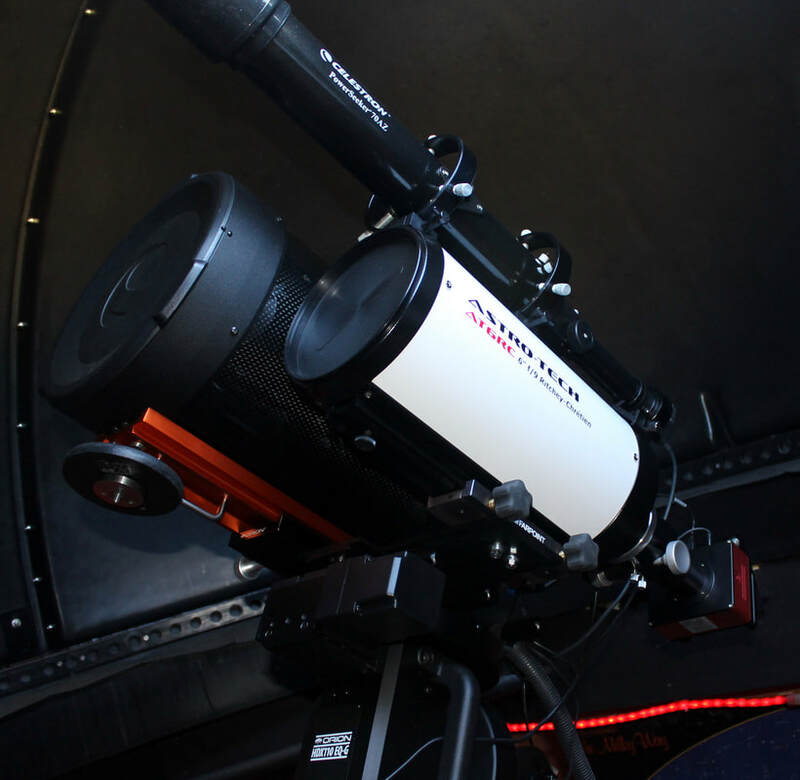 Morning Star Observatory (MSO) is now located in the Potomac Highlands of West Virginia. The old observatory in Luray, VA was dismantled in late 2017 and all my equipment packed and stored away, awaiting the completion of the new observatory building. Hopefully this will happen in 2019. Some first steps have been done on the Lancaster dome, trying to sort out what goes where. Since I don't have an assembly manual for it, It's a bit like trying to assemble a jigsaw puzzle without the picture. My plans for the new observatory include visual observing and CCD imaging, and possibly some community outreach. I hoped to begin construction in 2018 but problems with the construction of our log home caused me to have to concentrate almost exclusively on it. It's now 2019 and we are finally moving in so I should be able to begin serious work on the obs this summer. The 12-foot Lancaster dome has been in storage for the last 6 years so it's time for it to go up. When completed the dome will house my Orion HDX110 EQ-G GEM mount and Celestron C-11 SCT. Also an Astro-Tech AT6RC astrograph for imaging and, of course, a piggybacked guide scope with camera. The current imaging cameras are my modified Orion StarShoot Pro one-shot color camera and a QSI 683 mono camera I recently acquired. I also picked up a ZWO CMOS mono camera for autoguiding and maybe planetary imaging. I became interested in astronomy when I was about 8 years old. On July 20, 1963 there was a total solar eclipse across North America. My parents had given me a small Sears refractor telescope for Christmas which I set up to project the eclipse on a screen for everyone to see. Where I lived it was a 70% eclipse and as the skies darkened it made such an impression that over 50 years later I still remember the day. NOTE: At present I'm having issues with Internet service and only on rare occasions am I able to edit this site. But fiber is being installed in our area and hopefully by spring 2019 I'll be able to add and edit without issue. ​Disclaimer: The information contained on this and related pages is believed to be accurate, but no guarantees are expressed or implied. Any information on these pages should be considered "as-is" and the reader is completely responsible for the way it is used.